Each production will play at the 1400-seat Fox Theatre located in the heart of downtown Redwood City. 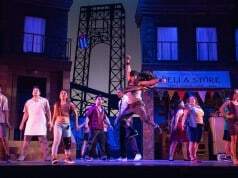 Broadway by the Bay, a musical theatre company, announced its 2011 season at its new home at the historic Fox Theatre in Redwood City. The season will feature three full scale productions as well as the return of the hit Broadway by the Year series. Under the leadership of Artistic Director Brooke Knight and Executive Director Jim Gardia, the 2011 season kicks-off with the wildly entertaining, off-Broadway musical comedy FOREVER PLAID (March 31 – April 17). 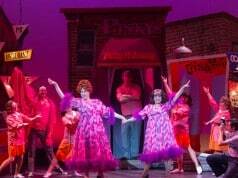 Next, Broadway By the Bay presents the classic favorite, THE MUSIC MAN (July 14 – 31), followed by GYPSY (September 22 – October 9), long considered one of the greatest American musical of all time. 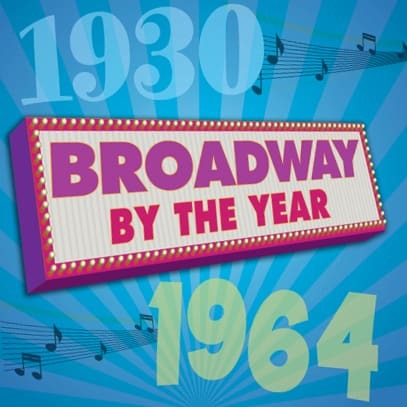 The 2011 season closes with the return of BROADWAY BY THE YEAR (November 17 – 20), a musical and historical snapshot of the Great White Way highlighting songs from Broadway shows of 1947 (Brigadoon, Finian’s Rainbow, High Button Shoes, Allegro) and 1966 (Cabaret, Mame, Sweet Charity, I Do!, I Do!, The Apple Tree). Hosted by creator Scott Siegel and featuring several of today’s top cabaret and Broadway performers, BROADWAY BY THE YEAR is sure to take the audience on a trip down memory lane. Each production will play at the 1400-seat Fox Theatre. Located in the heart of downtown Redwood City, the historic theatre is in close proximity to a wide selection of popular restaurants and bars as well as several nearby public parking areas – making it convenient for theatergoers to enjoy pre-show dining or post-show libations. 2011 Season subscriptions (4 shows) range in price from $104 – $168 and are available now by calling (650) 579-5565. Single tickets go on sale February 2011. Target® is proud to, once again, underwrite Broadway By the Bay’s Family Matinee series which provides specially priced tickets for the Saturday matinee performance of every production for the 2011 season. For additional information, visit www.broadwaybythebay.org. One of Off-Broadway’s most popular and critically acclaimed musicals, FOREVER PLAID is an affectionate musical homage to the close-harmony ‘guy groups’ that reached the height of their popularity during the 1950s. The musical revue centers on four young, eager male singers – The Plaids – who get killed in a collision on February 9, 1964 on their way to their first major gig. The show opens with The Plaids returning from the afterlife for one final chance at musical glory. Featuring such hits as “Three Coins in the Fountain,” “Undecided,” “Gotta Be This or That,” “Moments to Remember,” “Crazy ‘Bout Ya, Baby,” “No, Not Much,” “Sixteen Tons,” “Cry,” “Heart and Soul,” “Lady of Spain,” “Shangri-La,” and “Love is a Many Splendored Thing,” FOREVER PLAID has performed to sold-out houses internationally for nearly two decades. Called the greatest American musical of all time by numerous critics and writers, GYPSY is loosely based on the 1957 memoirs of Gypsy Rose Lee, the famous striptease artist. The show focuses on her mother, Rose, whose name has become synonymous with “the ultimate show business mother.” The musical contains many songs that have became popular standards, including “Small World,” “Everything’s Coming Up Roses,” “You’ll Never Get Away from Me,” and “Let Me Entertain You.” The original production opened on Broadway in 1959 and received eight Tony Award nominations and starred Ethel Merman. BROADWAY BY THE YEAR takes audiences of all ages on a musical tour of the Great White Way, offering an entertaining account of Broadway’s history. The show features the songs from Broadway shows of selected years, sung by a cast of some of Broadway’s most talented performers. Broadway By the Bay will feature the years of 1947 (Brigadoon, Finian’s Rainbow, High Button Shoes, Allegro) and 1966 (Cabaret, Mame, Sweet Charity, I Do!, I Do!, The Apple Tree). Produced by special arrangement with the Town Hall in New York City.